Which UK region spends the most on energy bills? 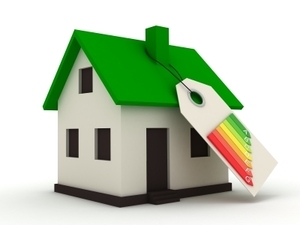 A report released last week highlighted a clear geographical divide with regard to domestic heating habits. The report showed that consumers in the South tend to turn their heating on at warmer temperatures (20°C) than those in the North (18°C) – with a whole two degrees difference between the farthest extremes. New research from UKPower.co.uk gives a strong indication of what the reason for this North/South divide might be. When compared with the average annual salaries for each region, it seems that those in the North actually spend more of their income on their home energy, despite that fact that it’s also these customers who hold off until colder temperatures before turning on the heating. The research showed that in Northern regions, households spend as much as 5% of an annual salary on energy bills, while down in London, the average is little over 3.5% based on average consumption figures. In response to these findings, it could be suggested that consumers in the South turn their heating on at warmer temperatures than those in the North, because it is more affordable for them. The strong correlation between geographical region, energy usage, and amount spent on energy strongly suggests that the main motivation behind domestic energy habits could be the cost of energy. As such, and with the average saving available currently standing at £277 a year, customers all across Britain have the option to significantly reduce their home energy bills and therefore avoid having to sit out the cold through fear of reaching for the thermostat. The biggest saving is available to those in Yorkshire who by switching to the market’s cheapest tariff can save an eye-watering £318, taking their spend-to-earnings down from 5.00% to a more manageable 3.72%.It’s essential that all customers proactively seek the right tariff for their individual needs before the cold snap hits and our energy usage soars. *Average salary data from the Office of National Statistics . Average spend data from UK Power.